President Donald Trump may have threatened Democratic lawmakers during Tuesday night’s State of the Union speech for investigating him, but Rep. Nancy Pelosi (D-Calif.) says she and her party won’t be intimidated by this. “That was a threat. 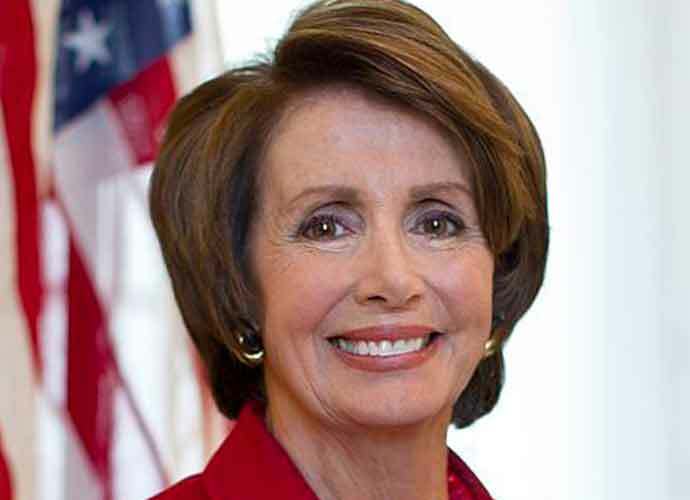 Presidents should not bring threats to the floor of the House,” Pelosi told reporters at the Capitol on Wednesday. On Wednesday, Pelosi’s fellow California Democrat Rep. Adam Schiff (D-Calif.), the House Intelligence Committee chairman, said the committee will expand its inquiry into Trump and his financial dealings beyond their ties to Russia. Pelosi added that the majority House Democrats “would be delinquent in our duty” if they didn’t exercise oversight — which she differentiated from traditional investigations — over the executive branch. In response, Pelosi stood up, applauded and extended her arms toward Trump. However, the House Speaker insisted she didn’t do this sarcastically. On a separate note, Pelosi also told reporters she believes Democrats and the president can find “common ground” on lowering prescription drug prices, something Trump addressed during the State of the Union.